Beauty Professor: A Clean, French-Inspired Look Featuring: By Terry Baume de Rose Rosy Babe (+ Swatches Galore)! A Clean, French-Inspired Look Featuring: By Terry Baume de Rose Rosy Babe (+ Swatches Galore)! Above: By Terry Baume de Rose Nutri-Couleur...same Baume de Rose formula with a delightful tinted finish. I've had the pleasure of using the new By Terry Baume de Rose Nutri-Couleur in #01 Rosy Babe for the last couple of weeks. My love of the original formula has been professed time and again and I had high hopes for this flushed version. I am pleased to confirm that it is as marvelous as I expected it to be...insanely moisturizing, long lasting and, now, infused with sheer, ultra-flattering color, this is luxury tinted lip balm at its absolute best! Above: Rosy Babe...perfect for pink lovers. The much-loved lip balm has now been given the Rose Infernale full-colour treatment. This eye-popping palette ranges from chic and cheerful to innocent hushed hues and whimsical high-drama. The ever-luxurious formula pampers and soothes with softening rose flower essential wax, lipo-regenerating shea butter, free radical fighting vitamin E, restructuring ceramides, hydrating and smoothing filling spheres. Lips will lap up this deep-down long-lasting cure. 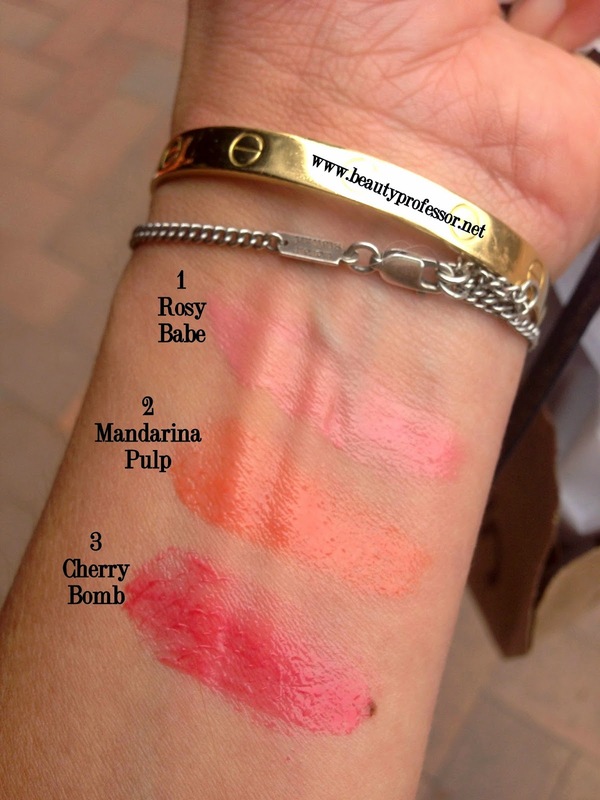 Above (from L-R): Rosy Babe, Mandarina Pulp and Cherry Bomb. Since the three shades are sheer, the colors (though they may appear quite bright in the pot) are entirely wearable and compliment the natural lip tone. All forms of shimmer are delightfully absent from the formula, enabling a lovely, natural finish that is drenched with pure shine. Above: The three new shades...so cheerful and promising. Above: The products for my clean, French-inspired look. Recently, one of my readers requested a "traditional no makeup French look" involving light base, bronzed skin, a touch of mascara and a lip balm...I decided that, in light of my focus on the By Terry Baume de Rose in Rosy Babe, this post was the perfect time to experiment with this aesthetic. Above: Loving my experience thus far with this rich, ultra-natural, highly-effective formula! Dr. Macrene Skin Results 37 Extreme Actives Anti-Aging Cream: I have been experimenting with this skincare for the past few days and am boundlessly intrigued by the whipped texture and "one product serves all purposes" philosophy. I feel like it's made my skin smoother and brighter and very balanced feeling; I will continue to test it and weigh back in after a few weeks! Le Metier de Beaute Peau Vierge #2 as a primer: My daily non-negotiable. May this never be discontinued. Tom Ford Traceless Perfecting Foundation in #5 Natural (buffed on with a damp Beauty Blender): Still loving this for warm days due to its flawless coverage and extreme lasting power. Charlotte Tilbury Filmstar Killer Cheekbones Bronze + Glow (as a contour, bronzer + highlighter): Reviewed HERE, this is a staple in the sculpting category...so worth the investment. Available at Nordstrom, Net-A-Porter and Selfridges. Surratt Beauty Artistique Blushes in Duchesse, Parfait and Se Pomponner in the Large Compact (lightly swirled together and applied to apples of the cheeks): New to my Surratt Beauty collection, I am adoring this trio of blushes (also swatched HERE) of varying degrees of peach and pink intensity. Worn separately or together, the shades and finish are exquisite. Surratt Beauty Expressioniste Brow Pencil in Brunette: When I desire a lush, more defined brow than my trusty By Terry Eyebrow Mascara creates, this delicate, ash brown retractable pencil is the unequivocal answer. It fills brows beautifully (while still looking wholly natural) and stays in place until removed. Yet another winner from the Surratt Beauty line! Charlotte Tilbury Full Fat Lashes Mascara: Still in the testing phase with this formula, but initial impressions confirm that the mascara is extremely black (yes!) and builds volume and length adeptly. No smudging or flaking, even after over 7 hours of wear. Full review soon. Available at Selfridges and in Net-a-Porter's Golden Goddess and Bigger Brighter Eyes sets. By Terry Baume de Rose Nutri-Couleur Rosy Babe #1 alone on the lips: This subtle baby pink has just enough color to look like something on the lips; couple this confectionary shade with the luxurious performance of Baume de Rose and it's already inherent appeal is doubled. Magnifique! Available at Space NK, Barney's NY and B-Glowing. Above: Only a few products for a full, yet understated, face. Above: Swatches of the products used in direct sunlight. Above: Rosy Babe with a flash. Above: Rosy Babe without a flash. Above: Only two products for the eyes...the Surratt Expressioniste Brow Pencil + two coats of the Charlotte Tilbury Full Fat Lashes Mascara. Have a beautiful Monday...good things ahead on BP, including another foundation review, a new fragrance profile and the draw for the Rouge Bunny Rouge Raw Garden in Chronos Palette Giveaway! Hello Wendy...thank you so much!! It too me awhile to try the Surratt pencil but I am so glad I did; it is fast becoming a favorite! You look really pretty! I absolutely love your reviews and I too am a foundation junkie. I noticed the Peau Vierge comes only in the tube for shades 2 and 3 and is $175. Shade 1 comes in the silver bottle and is $125. Is there a difference in the amount of product? I'm dying to try this because of your passion for this product. But I'd like to know which color to get- these are not available in my area for swatches. Also, are the above products I mentioned the same product? Please help! Hi BP (again). I would love to know which foundations are your holy grail top 3. And your favorite eye creams. I am a beauty obsessed fanatic! I also love how your skin always looks so glowing and lovely. Do you get peels, laser, etc professionally? I'd love to do whatever you're doing. Since I get to try so many amazing products, that is a tough question indeed; you've inspired me to prepare some blog posts on those topics! 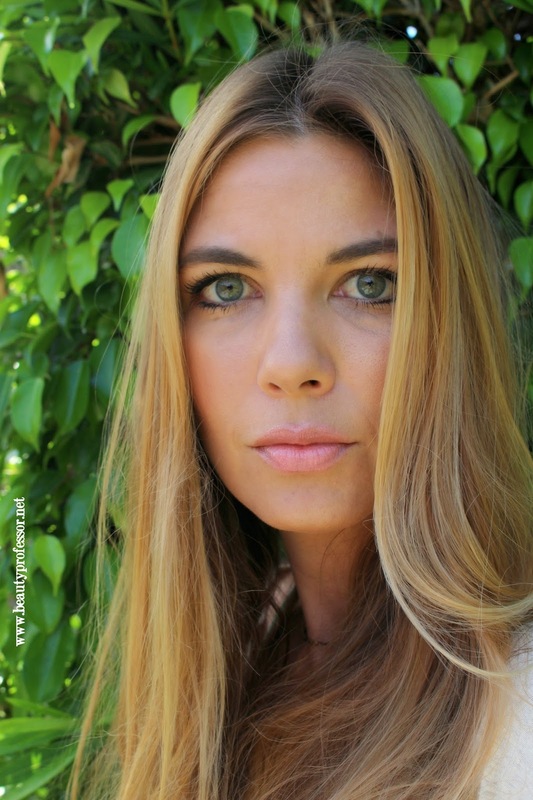 Thanks for your kind words about my skin...I don't do anything in terms of peels or dermatology appointments, however, I do use my Quasar MD home laser (reviewed on the blog), take vitamin supplements and try to keep my face completely out of the sun. I also have been experimenting with the NuFace Mini (also mentioned on the blog!). Overall, a low-maintenance approach! Hi BP :) Very pretty. I see that there is actually a total of 6 shades of the By Terry balm, if you ever have a chance, could you kindly do some swatch photos of the other three shades? I'm particularly interested in the toffee cream shade. I really appreciate your swatches. Thank you for all your photos. It has helped me tremendously with all my recent Surratt purchases as I do not live near a Barneys. Everything I have selected so far from Surratt I have loved & have not been disappointed with anything, which is a rarity for me when I have to order without seeing in person for myself. Thank you so much! Have a blessed day! Thanks! 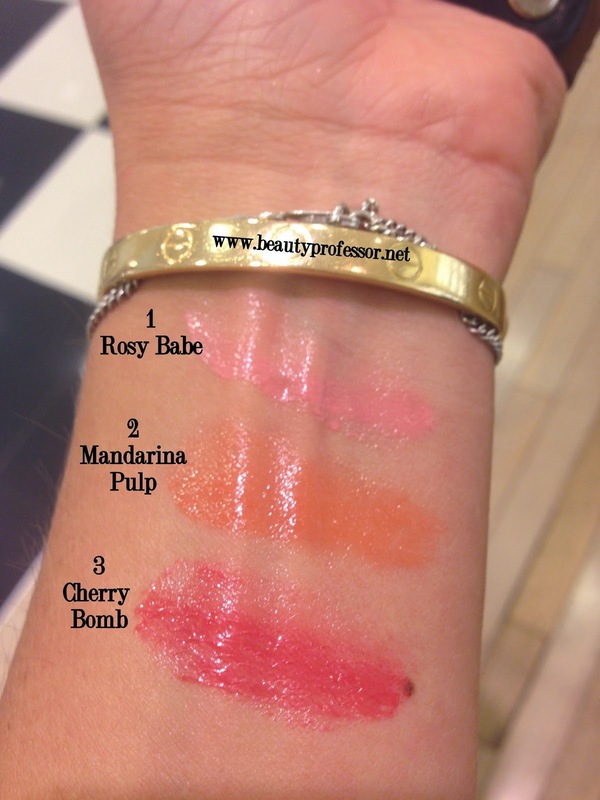 I will see if I can swatch the other three soon...they weren't at Space NK when I was there but I will give it a go the next time I am at Barney's NY. So glad you are loving your Surratt products...they are so wonderful and I, too, haven't been disappointed with a single one! Do you know if LMdB is discontinuing the complex? I've been searching all over for shade 3 and can't find it anywhere. LMdB is not discontinuing the Peau Vierge and #3 is readily available online at Neiman Marcus in the 2 ounce tube. Let me know if you need the link! BP, I knew it! Just naturally beautiful. What I love the most about your posts though is how well written they are. I love that you are the embodiment of brilliant and pretty. Learning about makeup and skin care from someone that appreciates her intellect as well is really inspiring. Thank you ever so much, Amanda! So kind...I truly appreciate your support.